I have already informed you that I have a few tutorials to share, since I have made a few handmade gifts to my beloved friends that got married the past Saturday. 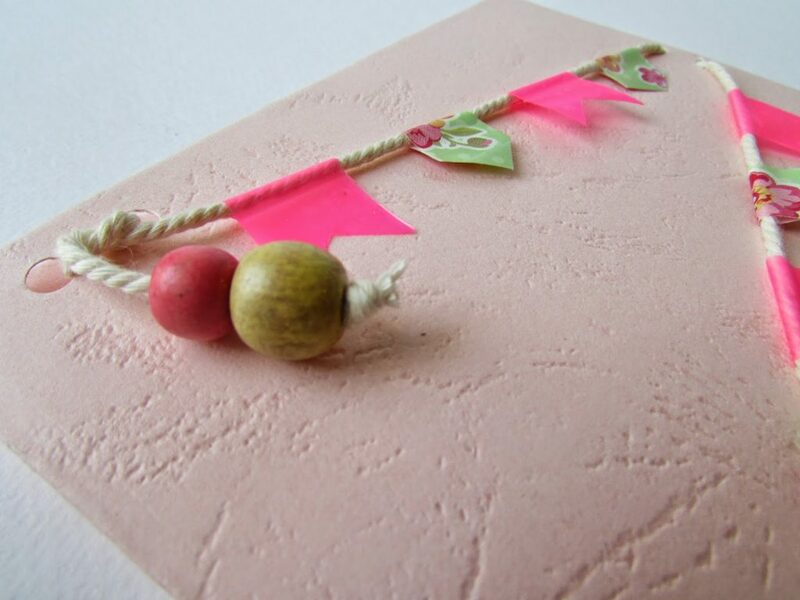 And I would like to start with a wishing card, really easy to make it and of course with plenty colors! First just cut the paper in the desired size and double it. 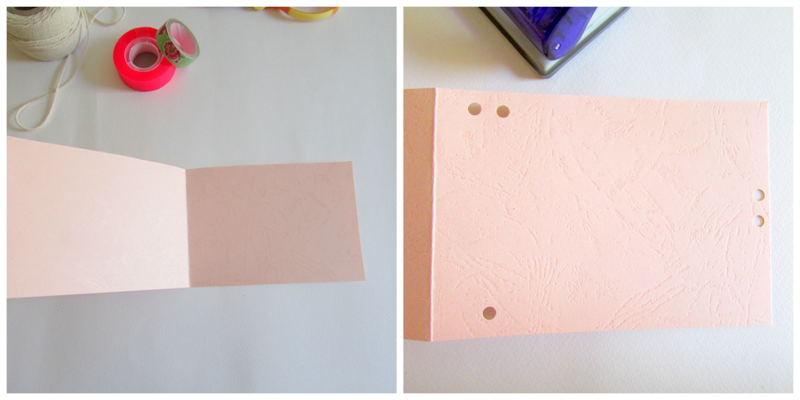 By using the Hole punch, create in total five holes as in the picture. 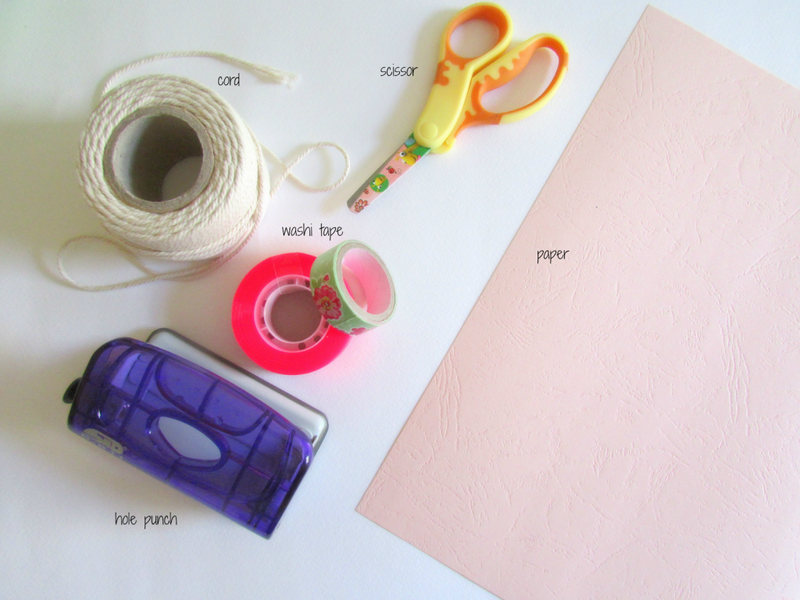 Cut small pieces from the washi tapes and put them on the cord. Crease them and cut their edges with to give them a flag schema. When the first part of your garland is ready, pass it from the holes. Continue by creating the second part of your garland in the same way. 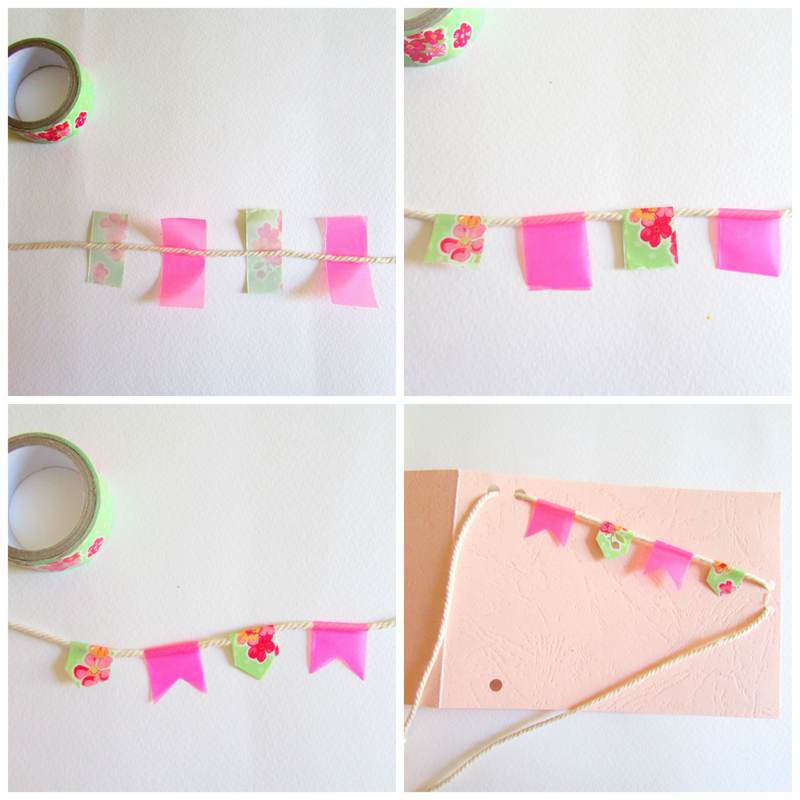 When the washi tape garland is finished just make a knot on its finish and use beads in its beginning. To be honest when I started this card I wasn’t thinking to use beads, but when I saw it finished, I decided to add a beautiful detail with more color. 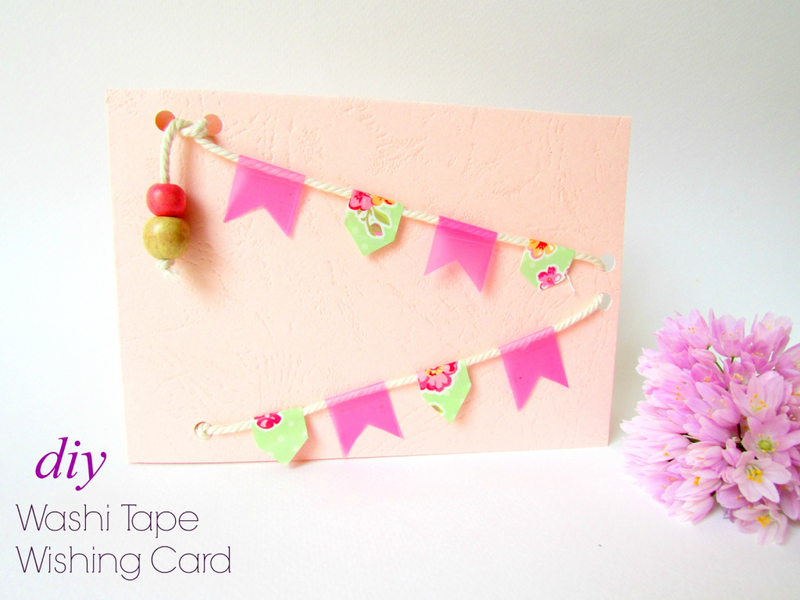 Your Wishing Card with the washi tap garland is ready! 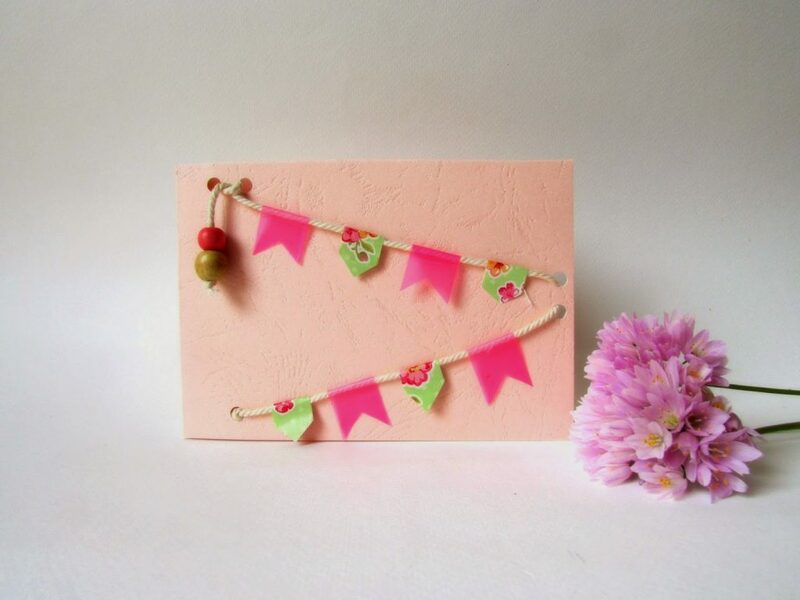 Use your imagination and you can create more beautiful cards!